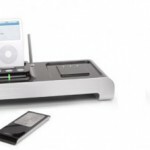 The iPod and iPhone are becoming an essential element in our everyday life. However, we don’t have yet the sleek and modern equipment to store these comfort items. 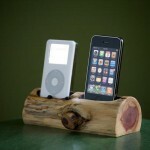 Introducing the most coolest and awesome iPod and iPhone dock designs. Apple products are winning over our lives. 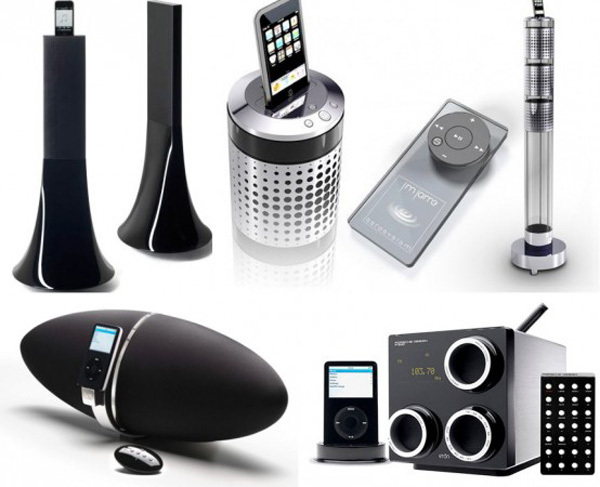 They are everywhere we go, and are considered top most wanted electronic products. 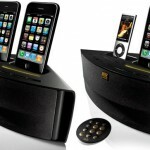 This post will introduce you to the top coolest accompanying dock designs, available at the hottest brand names. This amazing red girly designs are made by California design company RKS. As you can seem, there are two variations of the same designs, but both are suitable for IPod. They are touch sensitive and resemble a sphere. 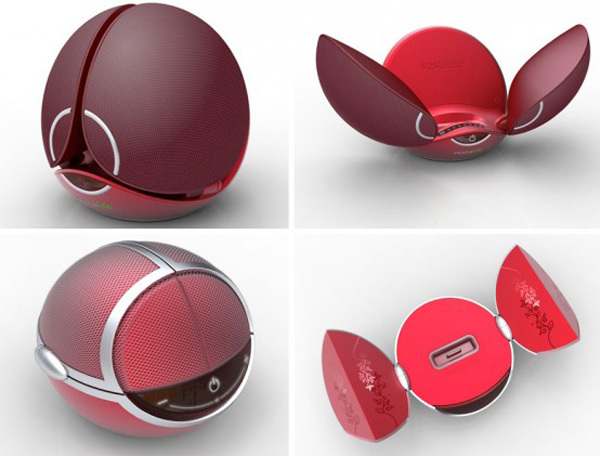 Like a little flower, the sphere should be open to display the dock and speakers. 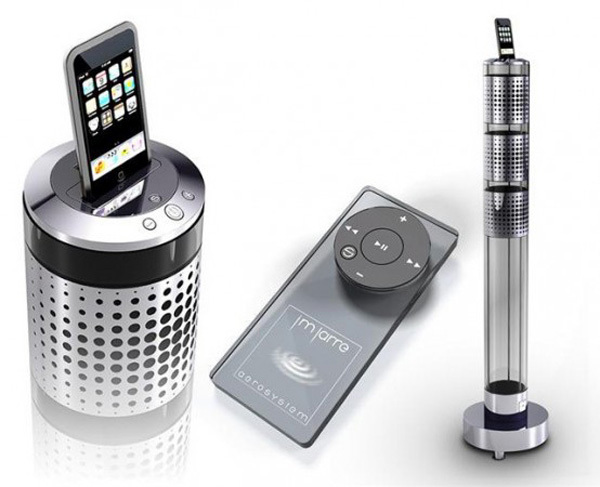 They are small, stylish and offer good sound quality, what is more to desire? 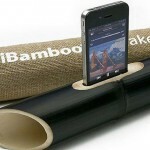 This strange cylinder shaped speaker is retro and futuristic at the same time. 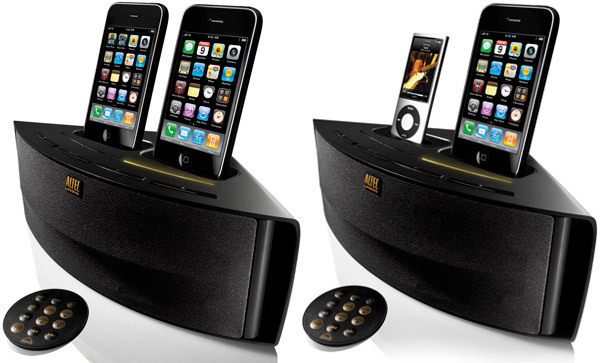 Featuring two 20W speakers and a 45W subwoofer, it also has a IPod shaped remote controller. It is most certainly a high standing speakers, which offer high quality sound with some back up when the mp3 quality is flawed. 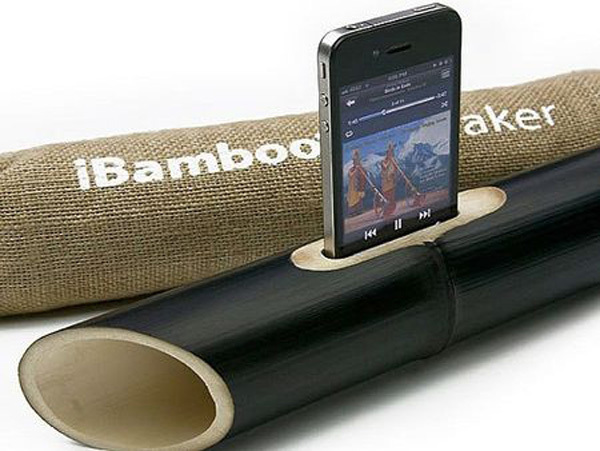 Looks like a traditional Tam tam chair, except it is actually an iPod dock, that by the way can also be used for MP3 players of other brands. Designed by Eric Berthes from Branex Designs. 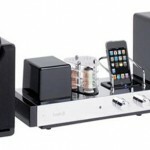 It features 2 x 25 W stereo and speaker with 50W digital amplifier technology and a remote control. 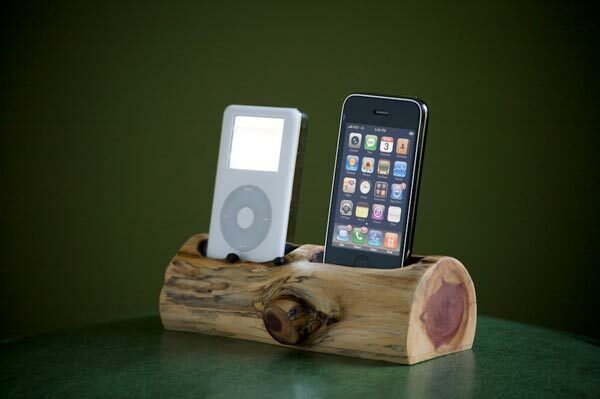 This awesome round dock is adjustable with any MP3 player, including iPod. The Art.Suono is designed by David Weiner Ventures, and has “DWC-APHEX” circuitry which restores harmonics lost in compressed music, providing an excelent sound quality. The design of this dock is just perfect, it is compact, modern and just awesome. 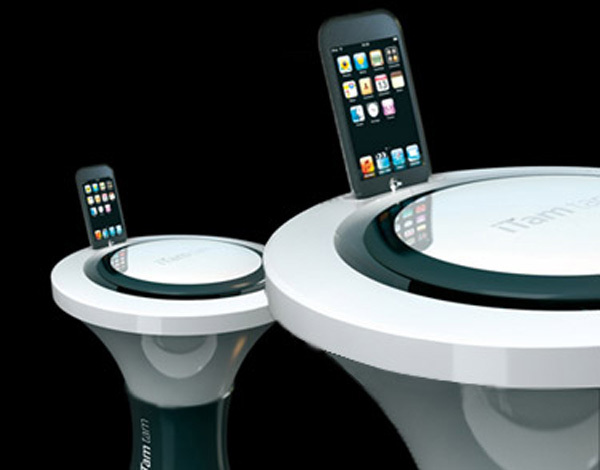 The last, but certainly not least in our list is this minimalistic iPod dock. 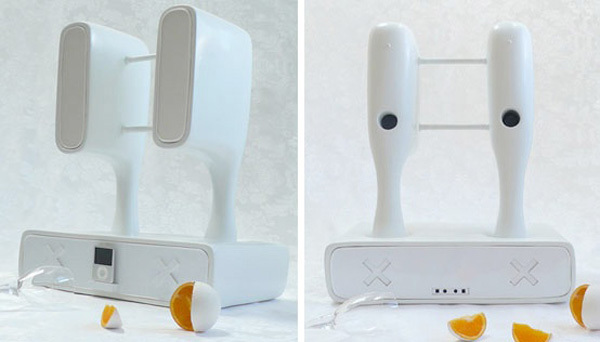 As the name suggests, it is designed by Victor Vetterlein, and is surprisingly all wireless. The system is suitable for all other M3 player brands. The speakers have rechargeable batteries inside them. Looking white and futuristic, this dock looks suitable for a modern and sleek interior design.